Triptych Art, and how to make a triptych. Triptych art is a pretty old art form. Its name is Greek for three fold. It is pronounced "Trip-tik". Don't say it like I do in the film. That will make you sound like a hillbilly, and at those fancy gallery opening, folks may not look very kindly at you. When I say old form of art, we're talking 1500 years old. Back to the Middle Ages which started around 500 AD, art was being produced for the early church. The earliest were probably carved panels rather than paintings, but as time went on, we see more and more of them within the early Church. 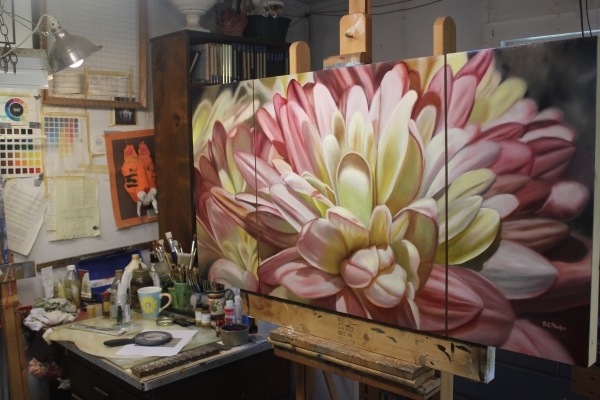 The traditional method of creating a triptych would be a large panel flanked by two smaller panels. These were usually hinged and could swing inwards to form a box. When open, you would have 3 paintings (or carvings), then, when closed, on the back side of the two flanking pieces would be two more paintings! The customer had a real bargain here in that they would get 5 paintings for the price of one. It was also easily transported due to it's box form and smaller size. Early Christian Churches loved them, as they were used as altar pieces and fit nicely into the areas needed. Well, most art back then was either created for a very rich patron, (Kings, Queens, Lords and such) or the early Christian Church, which needed a visual form of communicating to the masses its message of hope and salvation. All of these altarpieces were separate images based on a common theme. In modern art today, a triptych can be three separate images, but it can also be a single image broken up into three parts. That is the view I took when creating Chrysanthemum Joy. I wanted to take a very large image, and break it up just slightly to give it a different feel. It has become quite popular in the photography and abstract painting worlds today. Any search on eBay for triptych art will yeild a boat load of images of 3 panels, usually of a single image broken into three, but also, three similar images but each slightly different in that of a story board or theme across all. Don't write this art form off too easily as being to old fashioned. A recent auction has brought in $142 million for a triptych painted by Francis Bacon of Lucian Freud. It was titled "Three Studies of Lucian Freud" and as the title suggests, it was 3 similar but seperate portraits. The video explain how I have created the panels for this triptych, and how I connected them together, rather than hinges. 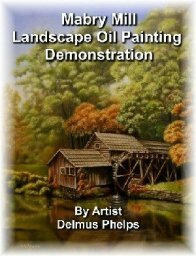 Click here to see more details on how to create and prepare you own panels, either for painting on individually, or for a triptych art format. Back to more articles, and away from triptych art.